The ukulele is a fun and easy to learn instrument! 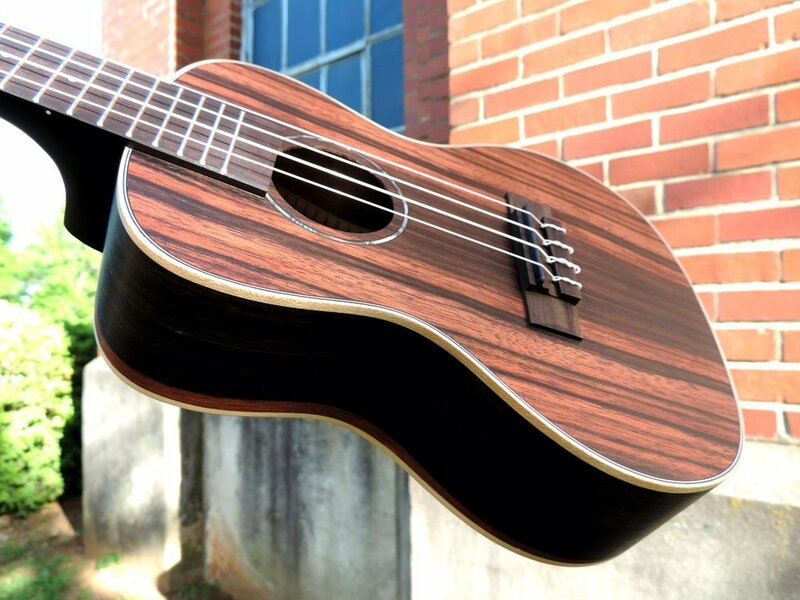 Join us for this six-week beginner ukulele class. You will learn basic chords and strum patterns by playing songs by the Beatles, Jason Mraz and others. No experience is necessary! For ages 10 and up. Younger kids are welcome if parent and child take the class together. Our group classes are a great way to apply what you're learning in private lessons! If you are interested in signing up for private lessons, we offer flexible times to fit anyone's busy schedule. Visit our Lessons Page to learn more about our instructors and programs! This session is led by Karen Hogg. A Berklee College of Music graduate, Karen brings a wealth of experience in musical instruction. She is a prolific performer and author, having written many articles for Acoustic Guitar magazine and Fretboard Journal, including interviews with legends Les Paul and Tommy Ramone. She has written two instructional books for guitar: Guitar Made Easy and Women in Rock. Her 25 years of teaching experience includes both private and group lessons on guitar, mandolin, and ukulele at various music schools and summer camps across the country, including the Berklee Five-Week Summer Performance Program and Berklee Guitar Sessions. Only $60 for the entire six-week series! The class must have at 3 students registered to take place. If the class needs to be cancelled, students who registered will receive a full refund. Don't forget to check out our Adult Rock Band, which is designed specifically for our adult rockers! To sign up for either group class, select the appropriate Plans from the Sign Up box.